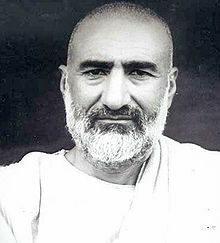 "Khan Abdul Ghaffar Khan (1890 - 20 January 1988) was a Pashtun political and spiritual leader known for his non-violent opposition to British Rule in India. A lifelong pacifist, a devout Muslim,and a follower of Mahatma Gandhi, he was also known as Badshah Khan (also Bacha Khan, Pashto: lit., "King Khan"), and Sarhaddi Gandhi (Urdu, Hindi lit., "Frontier Gandhi"). He was initially encouraged by his family to join the British Indian Army; however the treatment of a British Raj officer towards a native offended him, and a family decision for him to study in England was put off after his mother's intervention. Having witnessed the repeated failure of revolts against the British Raj, he decided social activism and reform would be more beneficial for Pashtuns. This ultimately led to the formation of the Khudai Khidmatgar movement (Servants of God). The movement's success triggered a harsh crackdown against him and his supporters and he was sent into exile. 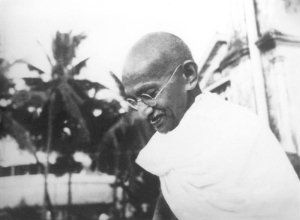 It was at this stage in the late 1920's that he formed an alliance with Gandhi and the Indian National Congress. This alliance was to last till the 1947 partition of India. After partition, Ghaffar Khan was frequently arrested by the Pakistani government in part because of his association with India and his opposition to authoritarian moves by the government. He spent much of the 1960's and 1970's either in jail or in exile. In 1985 he was nominated for the Nobel peace prize. In 1987 he became the first person not holding the citizenship of India to be awarded the Bharat Ratna, India's highest civilian award. In 1988 on his passing, he was buried in Jalalabad, despite the heavy fighting at the time, both sides in the Afghan war declared a ceasefire to allow his burial..."